Earlier today Griff wrapped himself into a large blanket. 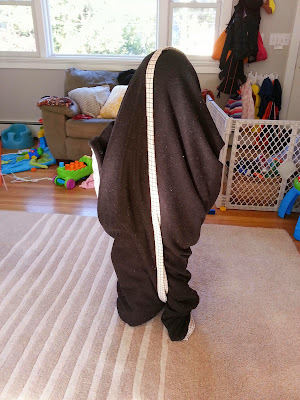 He said it was his ghost hot dog costume. Super spooky. 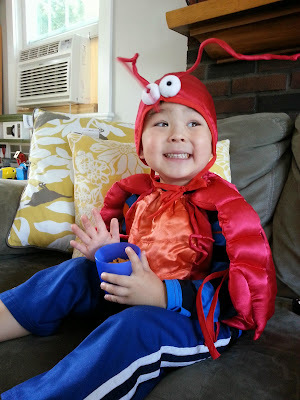 Right now he is wearing an infant lobster costume while eating goldfish and watching an episode of Curious George.